This is me on Tues., Jan 8, 2008! I'm over at the 2k8 blog, posting about The Yellow Book Road, a very kicking San Diego children's bookstore. The Class of 2k8 is running its first quarterly contest. A scavenger hunt! Now, you know you want the chance to win one of our "first semester" books! For lots of reasons. First off, books are really good and healthy for you. Second, you can feel very proud that you're paying attention to a bunch of debut authors. Third, freebies are good for your budget. So, without further ado, here's the link to all the details. Oh yeah, the contest closes on the Ides of March (March 15, that is). See the spudometer on the sidebar for my new word count! I have been a very hard worker. I so deserve a little reward. I just haven't decided what yet. I returned my fancy schmancy cell phone. On the last day of my monthly trial period. I walk into my local Verizon store with my original bag, packaging, receipt, every little item even down to a twist tie. Me: (all friendly and organized) Hi! I'd like to exchange my phone. Verizon Sales Clerk: (peeks in bag, then looks askance at me like I might be slightly crazy) Why? That's an amazing phone. 1.) I'm not sure if you've counted, but it has SEVENTY-FOUR buttons. 2.) It's kind of thick and it's making me look lopsided in the hip area. 3.) It crackles and has generally unclear reception. 4.) It only has fake-o Verizon internet, which means I can only go on certain Verizon websites. Which means I can't even check out my friends' blogs. Verizon: (looking around to make sure she's not alone with me because I'm obviously more than slightly crazy) Okay, m'am. If you really want to you can exchange this superior phone for a thinner, simpler phone. It'll only cost you $129.00. Me: $129.00???? You told me this phone was totally exchangeable if I came back within a month. Verizon: Yeah, well, last month your phone was on promotion. This month it's not. That's why you have to pay for the exchange. Me: Surely you can see how that doesn't make sense at all. Anyway, to make a long story short, Verizon finally caved. I think the fact that I could recite my litany of grievances by heart played into their capitulation. I am now the proud owner of a small, cute, don't-need-to-be-a-brain-surgeon-to-operate cell phone . And I got a refund of $2.08! Next time I go into Verizon for an exchange, I'm bringing along one of my talented-with-a-video-camera kids. And I will upload the experience to YouTube. 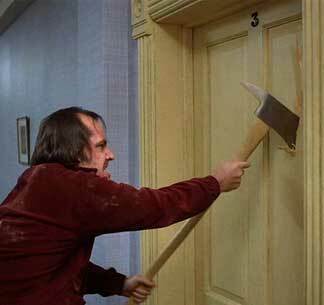 First, you take the Official Blog Bowl. Then you slip on the four-sizes-too-big heels. Congratulations, Patti of Welcome to the Patti-O! Email me at barrieDOTsummy AT yahooDOTcom with your address and I'll send you Al Capone Does My Shirts. Plus, I'll stick in some nice chocolate I have here. Thank you to Child #4 who really got into the blogosphere spirit of it all. A Brownie troop in my little neck of Southern California jumped the gun and began selling Girl Scout cookies EARLY! Even more interesting--they were ratted out! Hello, people. Life is waaaaaay too short for this. Go chill with a coffee....and a thin mint. Child #4 with a wand in her hand: "I'm your Fairy Godmother and I can give you anything you want. Even a hairy back." I will update Ms. Potato (the progress meter on the side bar) tomorrow. It's the second release for the Class of 2k8. Lisa Shroeder's I HEART YOU, YOU HAUNT ME is a great young adult novel told in verse. Fifteen-year-old Ava's boyfriend dies, but continues to hang around and be a part of Ava's life. An interesting twist on love that lasts forever! As our newest debut author, it's Lisa's week on the Class of 2k8 blog. Hop on over and congratulate her. And here's a link to Lisa's blog where she posts about a very touching experience during a book signing. AL CAPONE DOES MY SHIRTS (Penguin, 2004) by Gennifer Choldenko is a GREAT middle-grade novel with an autistic character. Twelve-year-old Matthew's (Moose) older sister, Natalie, is "not like other kids." The story takes place in 1935, before people really knew what autism was or how to deal with it. From the fly: Welcome to the Rock. Today I moved to a twelve-acre rock covered with cement, topped with bird turd and surrounded by water. I'm not the only kid who lives here. There's my sister, Natalie, except she doesn't count. And there are twenty-three other kids who live on the island because their dads work as guards or cooks or doctors or electricians for the prison like my dad does. Plus, there are a ton of murderers, rapists, hit men, con men, stickup men, embezzlers, connivers, burglars, kidnappers and maybe even an innocent man or two, though I doubt it. The convicts we have are the kind other prisons don't want. I never knew prisons could be picky but I guess they can. You get to Alcatraz by being the worst of the worst. Unless you're me. I cam here because my mother said I had to. AL CAPONE DOES MY SHIRTS is a terrific read. It's even endorsed by my personal picky reader. This book is very funny and will spark conversations about, among other things, family roles, peer pressure and, of course, autism. I've had some really nice link love recently. 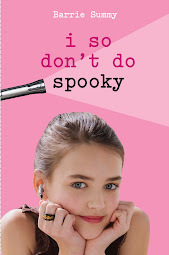 Thank you to Little Willow, a bookseller and writer, who listed I So Don't Do Mysteries as a book to read in her Forthcoming Coming Releases post yesterday. Little Willow does all kinds of great book reviews and author interviews and not-to-be-missed (Obviously! Ha!) book lists. An informative blog to visit. And, now, a shout-out for a brand-new blog. It's The Adventures of Lane-Living with Autism. Theses posts are so poignant; you could laugh and cry, all at the same time. This dad blogs with honesty and heart about life with his third son who is autistic. I have the privilege of knowing this delightful family. For a peek at their wild and crazy and wonderful world, read this blog. The last word on the galleys: I did get choked up when sending them off. I didn't notice until I got home that Mr. Postal Annex didn't charge me for my photocopying. He probably thought my mailer was stuffed with divorce papers! And, by my next post, I will be phenomenally beautified with new highlights and a trim! Ahhhh....the weekend. It was VERY productive. Tomorrow FedEx will whisk the galleys up to New York. I am done, done, done with I So Don't Do Mysteries! Which I'm glad about. I am. Really. Truly. Really. It's time to let go. Time to move on. I know it. However, I'm sure the Postal Annex lady will have to pry the package out of my hands tomorrow morning. It'll be that last-minute panic before I send my baby out into the world. How many commas did I miss? Couldn't I have tweaked such and such a metaphor? Was Sherry wearing too much makeup in the last chapter? All I can say is--please be kind to her. And friendly and understanding. Please show her some love. On a technical note: the font is Officina Serif. I usually prefer a plumper font, but this one fits the book perfectly. Back to book #2 in the a.m.
Before I leave you all for a weekend of fun with my current manuscript, my very cute galleys, my Flip dictionary and my Oxford American Writer's Thesaurus (See! I really am a girl who knows how to have a good time! ), here are the latest photos of our veiled chameleons. The female has shed yet again. She's quite the little lardette compared to the male. Not to panic anyone, but the future of veiled chameleons in this particular cage lies with these two reptiles. Someone needs to have a serious chat with the female about the birds and the bees and the Golden Rule. Reproductively speaking, it may be unwise of her to hog the crickets and hiss at the male when he wants to eat. Because, at some point, she'll be ready to procreate. And he's her only choice. For this Family Life chat, I nominate Child #2. After all, it was his brilliant idea to breed veiled chameleons. He's the one who plans to get rich (or at least keep himself well stocked in candy) by selling baby chameleons to pet stores. So, good luck Child #2 with your first foray into parenting and THE talk. Have a great weekend, everyone! Bonne fin de semaine! And look at the potato meter on the sidebar. Yes, the little spud has more pages behind him! I'm almost halfway through the second book. And I think the story's coming together nicely. So, yay! All that writing and I still managed to sign child #4 up for more dance classes. (The world should not be deprived.) Dorothy the Dog is headed for a long overdue grooming tomorrow. Plus. Plus. Plus. I'm going away this weekend. On my own. So I can accomplish even more writing stuff. Today's a REALLY, REALLY big day for these two classmates. It's their debut book release day!! They've been working toward this my-book's-actually-on-the-shelf day for a while. I can't even imagine how it must feel to have finally arrived. So, you might want to hop over and leave them some love. Congratulations LIZ GALLAGHER on your release of THE OPPOSITE OF INVISIBLE! Congratulations LISA SHROEDER on your release of I HEART YOU, YOU HAUNT ME! I'm cracking the writer's whip today. Doling out some tough love to myself. Which means I'm going offline to on my old Dell laptop. The neutered one with no internet access. I'm not baking banana bread even though the bananas are at that perfect overly-ripe-but-not-yet-rotting stage. No, no, no. I'm not calling my sister who just got back from Australia and probably thinks I've replaced her with some pseudo-sibling from the Penny Saver want ads. No, no, no. And I'm definitely not clicking repeatedly on the 2k8 widget on the sidebar to make my cover come up. Today I will be calm and focused. I will take my vitamins with a glass of filtered water. I will drink chamomile tea. I will write my bony little fingers off. What a total blast it is to travel around the blogosphere and stumble across links back to this blog. Thank you jdwrites4kids and writingthecyberhighway and jessicaburkhart. 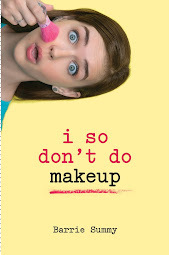 AND there's an author interview with Liz Gallagher over at the Class of 2k8 blog. Before you ask, Beth of BooksEtc., I will update the potato (site meter). If I'm really productive and come up with thousands and thousands of combos of my 26 little friends (that would be the alphabet, peeps! ), I'll treat myself this evening to all your blogs. For some, a treat would be chocolate. For others, it would be a glass of fine wine. For me, it'll checking up on all of you. Wow #1! Did you see the VERY cool 2k8 "widget" (fancy techno word for "thing") on the sidebar just above my blog roll/Places to visit? Each time you refresh this page, a different 2k8 book pops up! And, when you click on the book, you get whisked over to flapjacket and a bunch of info about the book and author. I could play with this all day. How do people come up with this stuff? It's seriously mind boggling. Wow #2! AND you should head over to the 2k8 blog. Today's the first day of our first book launch. 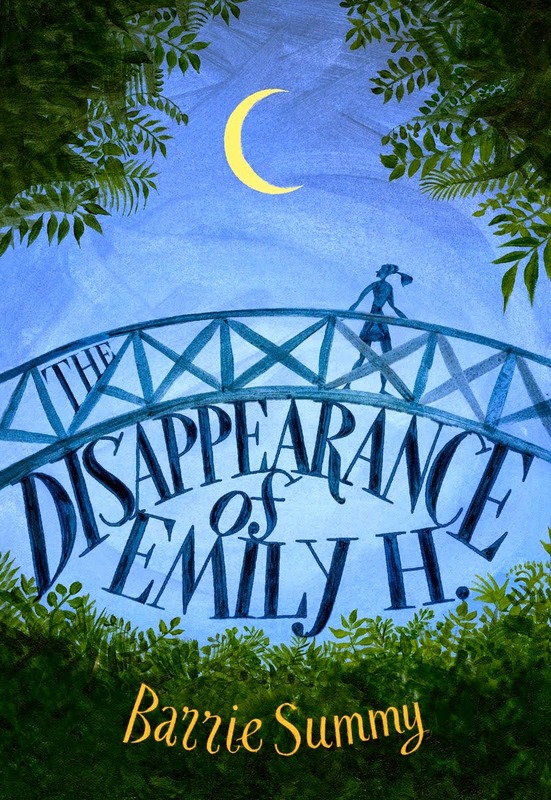 So, go check out Liz Gallagher, who is now a PUBLISHED AUTHOR, and her brand spanking new book (which I've read and it's fantastic) THE OPPOSITE OF INVISIBLE. Woohoo Liz!! Oh yeah, here's the link to the 2k8 blog. To this end, I downloaded Grey's Anatomy, Season #3 to my iPod Classic. Yes, it cost $34. But I had to do it. Now that it's a New Year's Resolution and all. I'll watch it at the gym. And I went out Friday evening with a girlfriend, Santee Babe. It was wild. It was crazy. We almost got popcorn WITH butter. Actually, we abandoned our respective children and spouse and escaped to the movies. We saw Juno. Which I've been wanting to see since Maureen reviewed it. Thank you Diablo Cody for the amazing dialogue. Here's an example. During the ultrasound, Juno's friend smarts off about how freaky the baby looks. And Juno's brilliant reply: "I am a sacred vessel; all you got in your stomach is Taco Bell." -Their were no out-takes. So, you didn't miss anything on that front. And, now, a confession: Today I washed down my vitamins with diet coke. It felt wrong, but I couldn't stop myself. the Class of 2k8's books are starting to hit the shelves. In fact, I HEART YOU, YOU HAUNT ME by Lisa Shroeder was spotted today in a Seattle bookstore. We're a group of 28 debut middle grade (MG) and young adult (YA) writers who banded together for promotional reasons. Along the way, we've become friends and learned a lot about each other's books. The books are very eclectic, but there's one thing they have in common--they all make for good reading. With scissors, tape and various festive items, Child #3 and I snuck up the street. 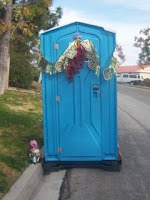 We don't know who donated the original (Christmas) decorations, but we left dear port-a-potty and her gnome dressed and ready to usher in 2008! 1. Take my vitamins daily. Even on the weekend. 2. Play a board game weekly with my children. Be a good role model if I lose. 3. Pass on the joy of reading by giving away a gently-used book each month. At the end of the month, I'll have one of the kids (probably child #4 who has the most legible handwriting) print your name (once for each comment over the course of the month) on a small piece of paper. We'll put all the names in a bowl, pull a winner out and, voila, someone'll get a book in the mail. This will help with Resolutions #4 and #5. 4. De-clutter one shelf or drawer each month. 5. Be timely about trips to the post office. 6. Add new goals as necessary. Perhaps one concerning internet addiction? For January, there's a choice of books: A GOOD HOUSE by Bonnie Burnard (adult) or SLAM by Nick Hornby (young adult). I often cross-post on livejournal, so those names will be included too. And, obviously, the more comments you leave, the more bits of paper there will be with your name. I'm looking forward to sharing the books. Nothing I like better than passing on a good read. Wishing you all a wonderful and amazing 2008! !